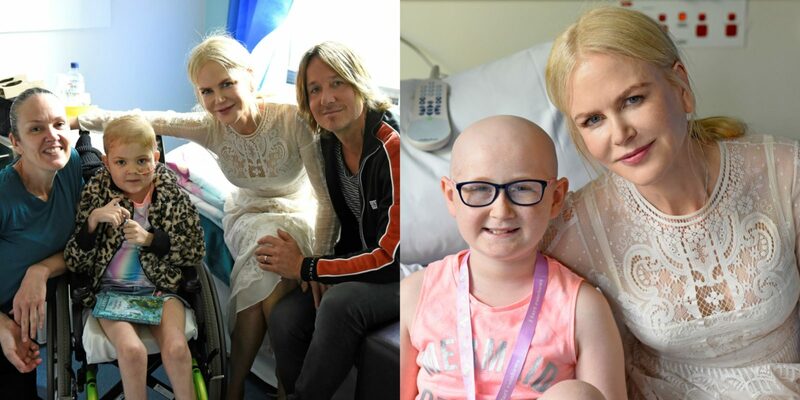 Superstar couple Nicole Kidman and Keith Urban brightened the day of sick children and their parents as they made a surprise appearance at a Sydney hospital this week. Before heading back home to America, following Keith’s successful Graffiti U World Tour, the Aussie pair stopped off at Sydney Children’s Hospital in the eastern suburb of Randwick, much to the delight of the kids. 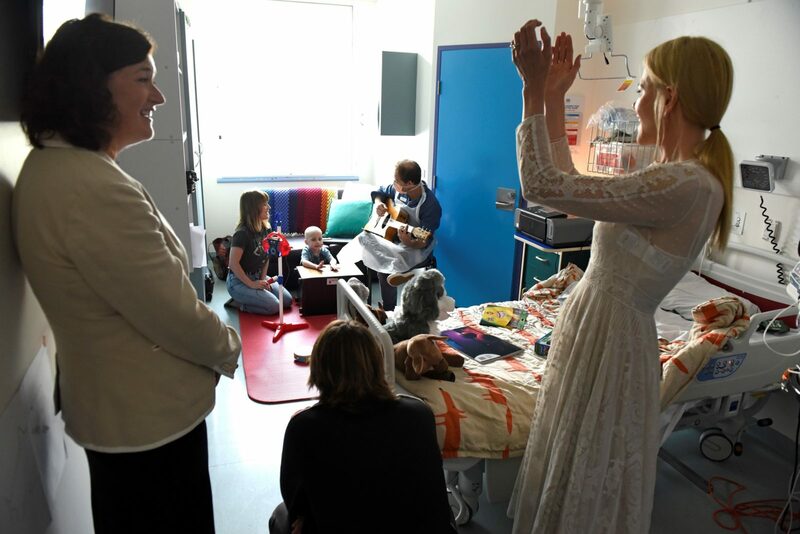 During their visit the actress and her singer-songwriter husband spent time with seriously ill children in the oncology ward and the intensive care unit, even enjoying a bit of a dance and sing-a-long with them. It was a joyous moment for all, especially the children, who suffer from a range of serious illnesses including cancer and respiratory disease. Nicole, who has been a proud ambassador of the hospital’s foundation for almost 20 years, said she was happy to be able to fit in a visit to the kids who are a constant inspiration. “It is always so important and special to visit these very sick and incredibly brave young children and their strong parents and families,” the Eyes Wide Shut star said in a statement. Thrilled to welcome Nicole and Keith for a visit, Sydney Children’s Hospitals Foundation Chief Executive Officer Nicola Stokes said it was an incredibly special moment for patients and their families. 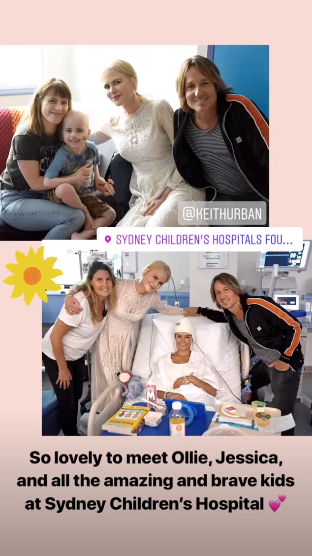 Following her visit, the much-loved Aussie actress also took to social media to share a few photos from their time at the hospital. “So lovely to meet Ollie, Jessica, and all the amazing and brave kids at Sydney Children’s Hospital,” she wrote on Instagram. Both Nicole and Keith are known for their caring nature. Just last year Keith warmed the hearts of many across the world by making one sick young girl’s dream come true. Back in October, the Aussie singer made a special trip to Mercy Children’s Hospital in Ohio to visit one of his biggest fans. Patient Marissa English and her family were left in absolute awe after Keith stopped off to say hello and sing a beautiful tune. “Keith Urban made a visit to see Marissa tonight and serinated [sic] her at Mercy Childrens Hospital. I love that her dream came true because this chick deserves it more than anyone I know! ♥️ you, girlfriend!” Kristi Coe Frederick wrote in a Facebook post. The famous country music star could be seen holding onto Marissa’s hand as he sung ‘Blue Ain’t Your Colour’. Are you a fan of Nicole Kidman and Keith Urban? Have you ever been lucky enough to meet them?